Fine. No dust jacket. THIS IS THE LOOSE LEAF EDITION; ITS MEANT TO BE PUT IN A 3 RING BINDER. New. Brand new item, never opened! Ship within 24hrs. APO/FPO addresses supported. Sewn binding. Cloth over boards. Contains: Illustrations. Very Good. Ship within 24hrs. Satisfaction 100% guaranteed. APO/FPO addresses supported. Sewn binding. Cloth over boards. Contains: Illustrations. New. Ships same day or next business day! UPS shipping available (Priority Mail for AK/HI/APO/PO Boxes). Used sticker and some writing and/or highlighting. Used books may not include working access code. Used books will not include dust jackets. New. 100% Money Back Guarantee. Brand New, Perfect Condition. We offer expedited shipping to all US locations. Over 3, 000, 000 happy customers. Sewn binding. Cloth over boards. Contains: Illustrations. Fine. 100% Money Back Guarantee. Brand New, Perfect Condition. We offer expedited shipping to all US locations. Over 3, 000, 000 happy customers. Sewn binding. Cloth over boards. Contains: Illustrations. New. 1337553573 BRAND NEW W/FAST SHIPPING! 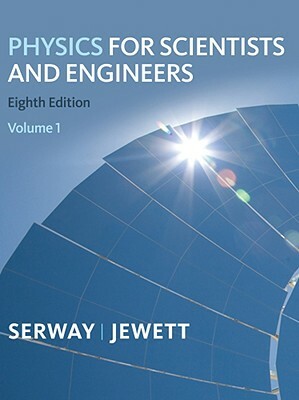 This item is: Physics for Scientists and Engineers, Volume 1, 10th Ed., by Raymond A. Serway John W. Jewett; FORMAT: Bound Book; ISBN: 9781337553575. Choose Expedited for fastest shipping! Our 98%+ rating proves our commitment! We cannot ship to PO Boxes/APO Addresses or outside the continental U.S. To avoid ordering the wrong item, please check your item's ISBN number!